In recent decades, data has shown more women with bachelor’s degrees or higher are getting married than those without higher education. This means, women with the highest possibilities of financial independence are choosing to get married at a higher rate than ever before. Both men and women with higher levels of education were statistically shown to have longer lasting marriages as well, typically in the 20-year range. The most popular theories in the United States say at least 40% of marriages end in divorce. 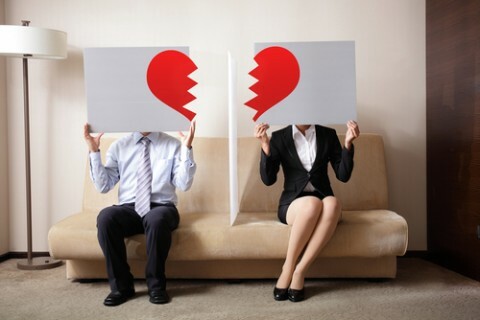 As a result, highly-educated, professional men and women are divorcing after long marriages and reentering a dating scene they haven’t been a part of in two decades. The dating world in 2016 looks completely different than it did in the 90s, and that may be the understatement of the year. Dating apps are one of the number one ways people are meeting these days, and there is no shortage of options when it comes to the variety of apps. They exist for every specific niche possible and the ones that encompass the most general population have hundreds and thousands of people to swipe and sort through. The most popular treatment in cosmetic dentistry is teeth whitening. The low cost and minimal discomfort associated with the procedure make it easier than ever to achieve almost any shade of white desired. For celebrity-style perfect teeth, porcelain veneers are becoming a more popular option. Veneers can be used to straighten, repair, reshape and whiten the appearance of teeth. They are essentially thin, porcelain caps that are placed over the tooth, enabling a seamless transition to a perfect and natural looking smile. Invisible braces took the world by storm when they were introduced to the public and haven’t slowed down a bit. Especially when it comes to the older population who maybe couldn’t afford braces as a child, but now find themselves embarrassed by the imperfections in their smile. The dating world has changed drastically over the decades, but thankfully modern dentistry has kept up. With social media platforms drastically increasing the number of people who see your photos and dating apps encouraging reliance on appearance to be a deciding factor in the likelihood of a date, it’s nice to know so many options exists for people who are unhappy about their smile. In this insanely competitive culture, there’s nothing more attractive than confidence.